By connecting a webphone to Ozeki Phone System XE you can provide your customers the ability to reach your support staff easily. Any web browser is capable of handling microphones and web cameras, making voice and video chat become available. This leads to numerous new possibilities: fast, effective and easy-to-use availability (results in higher income) for companies, great quality communication and also fast, effective and easy-to-use accessibility for the customer. One of the most important factors of a company's effective work is the troublefree communication with the customers. Customers expect a company to have a customer service available fast and easy, so companies should choose the most reliable and the most comfortable communication solutions for their customers as well. When expanding a business, in order to achieve the maximum level of the quality and availability of the service, the existing and potential customers' demands must be estimated. Webphoning is a very comfortable way to communicate with your customers, being directly accessible from the website. Look at how it works. The website visitor is surfing on your web page on which there is a 'Call me NOW' button. If the visitor clicks on it, a call will be initialized to that employee of your company, who deals with the calls coming from the webphone. It is absolutely free for your customer. 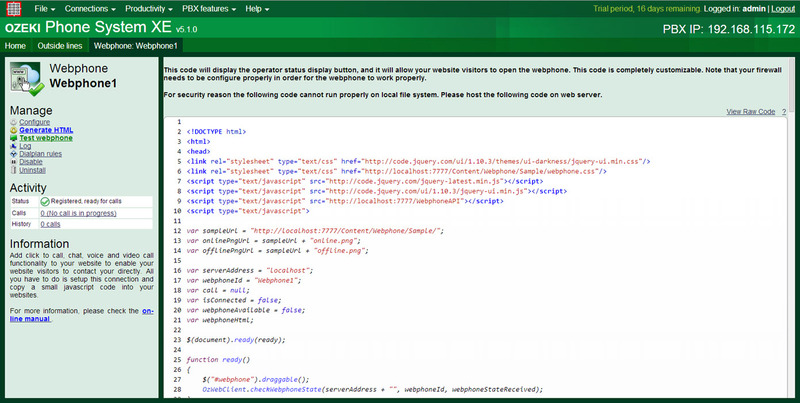 In order to make a call through a website, a webphone is required: the webphone is a client-server application. The "client" is a program that can be integrated into the website of the company. This client is connected to the webphone server, and this server will forward the call to the other party of the dial. The other party can be another webphone, a softphone, a traditional IP phone or a call center. The SIP protocol is only needed in the build-up and break-up of the connection, so as soon as the connection is built up between the webphoning customer and the company, the RTP protocol replaces the SIP protocol until the call ends. The RTP protocol is required for every internet based chat and this protocol carries the video and sound packages. After finishing the call, the SIP protocol gets the control back and breaks up the connection. Depending on the service you intend to provide, you can choose between two solutions of webphoning. 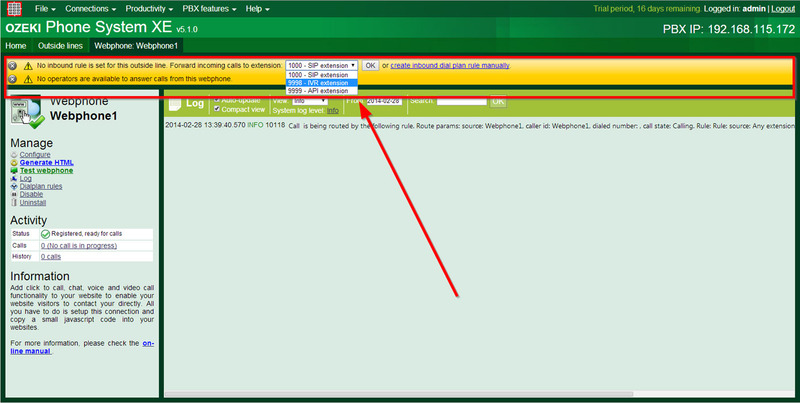 The simpler version is called "click-to-call webphoning": it means that next to the phone numbers, that were shown in the webpage, a small "CALL" icon appears. The visitor can make a call with clicking on "CALL" icon. The other possible solution is the full feature webphone, what is a standard softphone application. In this case the visitors are allowed to call any phone numbers - the phone line is provided by the webphone system. This is useful when more than one phone number or extension can be found in a webpage. Of course the owner of the webpage can restrict the available phone numbers in order to avoid the misuse of the free lines. 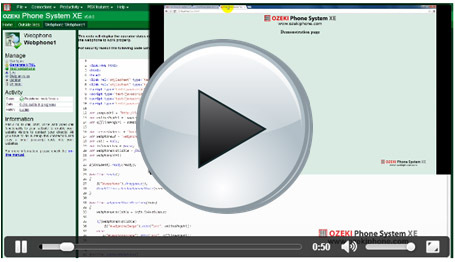 The calls, which were made from the webpage, will be connected by the TCP protocol to the Ozeki Webphone server. 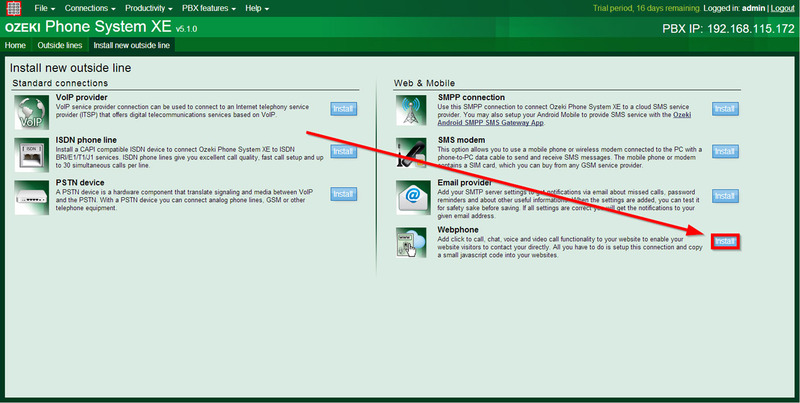 The server will forward it to the proper direction, independently from your choice between the click-to-call or the full feature webphone (Figure 1). What does the CUSTOMER NEED to have, to use Webphone? Before beginning the call, both the company and the customer can set what types of data can be given to the other party. They must allow the access to use their camera, microphone and speaker/earphone. This way it can be set e.g. that the customers can start a voice call if there is no need for a video call. Customers can also deny the camera using if visitors do not want to use it. After studying Webphone Technology, take a look at the following step-by-step guide in order to see detailed setup instructions. 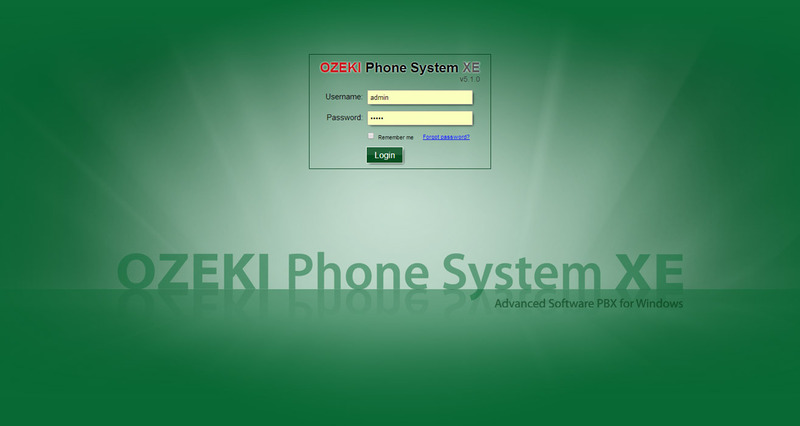 First of all, login to the Ozeki Phone System XE using your username and password (Figure 2). On the left side of the screen you can see a blue bordered box called Outside lines. Click Add (Figure 3). On the right half of the screen (in the Web & Mobile section) a Webphone label can be seen. Click the Install button next to it (Figure 4). Now a configuration screen appears. 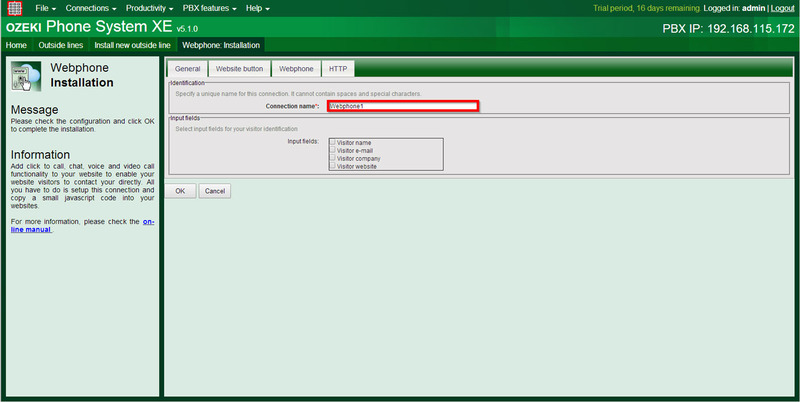 In the 'Identification' section you can define a unique name for this connection (or accept the default 'Webphone1' name) (Figure 5). 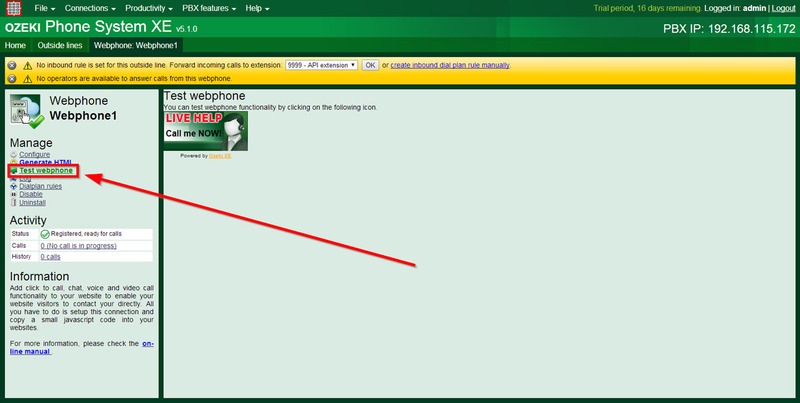 Click on 'Webphone button' tab. Here you can add a unique website button to display operator availability by selecting the 'Custom' option and browsing an online and an offline picture as a png file (170x80px). If you want to use the default button select the first option called 'Use built in operator status display button...' (Figure 6). 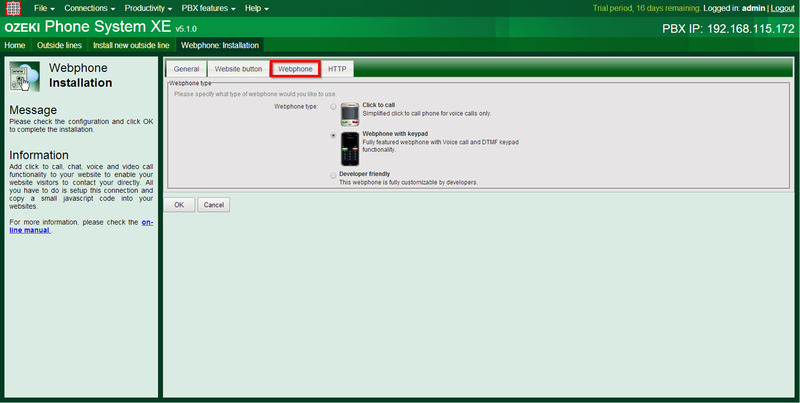 Under Webphone tab you can select which type of webphones you would like to use (Figure 7). You can choose a simple Click to Call Webphone or a Webphone with Keypad. 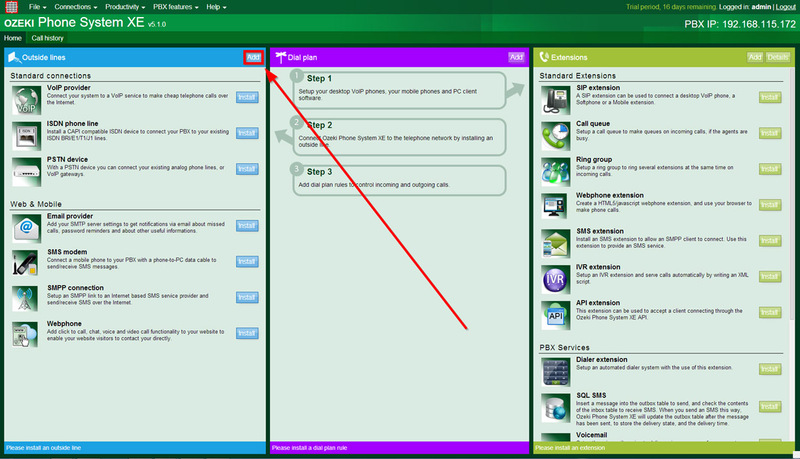 Your third, Developer friendly option is to create a completely unique interface for your webphone. 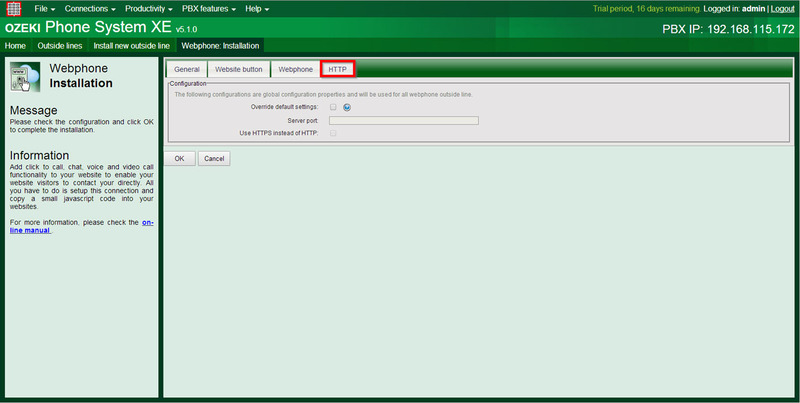 Figure 8 shows the HTTP port options. By default the webphone service works on the same port like the graphical user interface. If you check the Override default settings. 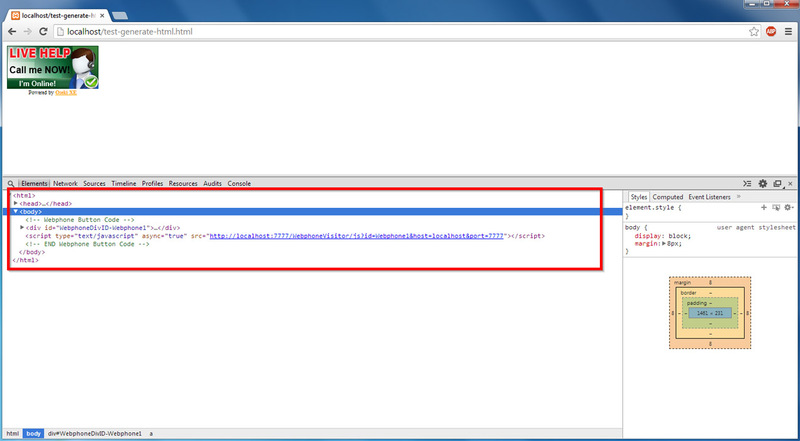 You can give the desired HTTP and HTTPS port, as well. Currently, you cannot make calls, since no routing rule has been added in order to determine where the call should be routed from the webphone. This is what the yellow bar shows at the top. To resolve this issue, you should install at least one extension or one outside line. You can install more than one if you wish to. After you have picked from the list and installed what you have chosen, select a dialplan rule using the dropdown menu in the yellow warning bar. 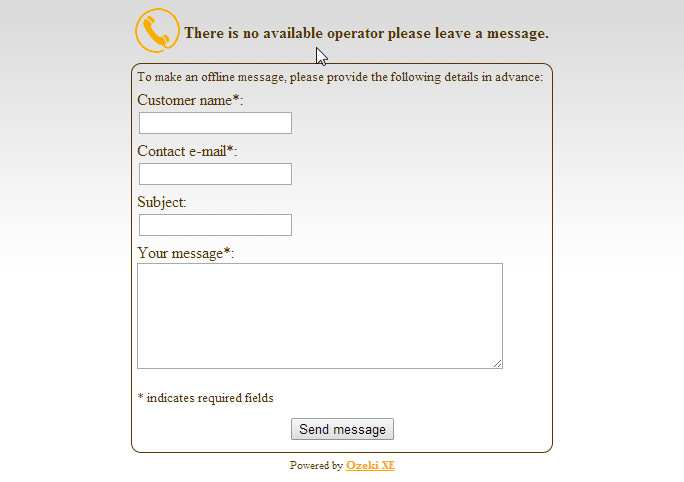 Specify that webphone calls will be forwarded to this extension or outside line. (Figure 11). 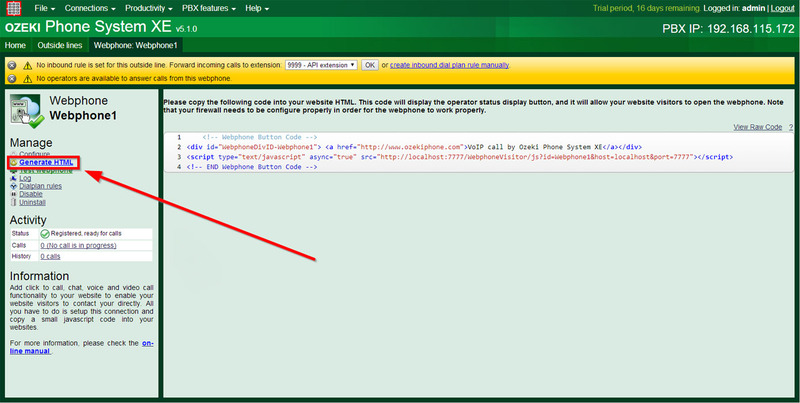 By clicking on the 'Generate HTML' menu item you can get the HTML code of your webphone. You can use this code to integrate the webphone into any webpage easily. (Figure 12).